In 2003, Pastor Jones received an Honorary Doctorate Degree from St. Thomas Christian College in Jacksonville, Florida. Later that year, he received another Honorary Doctorate from Z. E. Brown Bible College in Tallahassee, Florida. About Bishop Virgil Jones, Sr.
Bishop Virgil C. Jones, Sr. received his early education from the local schools in Jacksonville, Marianna and Panama City, Florida; however, he completed his education in Pensacola, Florida graduating from Booker T. Washington Sr. High. He later attended Edward Waters College where he majored in Mathematics. During his college years, he met Lawrence C. Callahan and established a lifelong friendship. Later, they both were employed by General Foods-Maxwell House, where Virgil Jones served as supervisor for a number of years. In February of 1977, after being ministered to by Minister Lawrence Callahan, his friend and comrade, he received Jesus Christ as his personal Savior and became a member of Faust Temple Church of God in Christ under the leadership of Pastor Willie F. Faust, Sr. He was called to the ministry and preached his trial sermon in May of 1977. Both Minister Jones and Minister Callahan were continually about their Father’s business, ministering the Gospel throughout the streets of Jacksonville and surrounding areas. In 1979, the Lord directed Elder Callahan to establish Philippian Community Church. As Elder Callahan proceeded to leave Faust Temple, he had his partner at his side, a relationship that he would later compare to Paul and Barnabas. For a brief period of time, the pair parted and Elder Jones established Colossians Community Church, 1982-1985. Later the Lord directed Elder Jones back to Philippian to operate, as Bishop Callahan would often say, “In a pastorate capacity.” Elder Jones was often called upon to counsel, visit the sick, perform weddings, as well as conduct water baptisms. Together, Bishop Callahan and Elder Jones labored in ministry, building the Philippian Community Church to a membership of over three thousand and its massive campus of thirty-two acres. Elder Jones served Bishop Callahan with diligence, integrity and great faithfulness similar to the relationship of Joshua with Moses. On January 16, 2001, it was the Lord’s good pleasure to take from this life and welcome into his glorious presence, Bishop Lawrence C. Callahan, Sr. Elder Jones’ faithfulness to the Lord and the ministry was not forgotten. After fasting and praying for the will of the Lord, the Elders of Philippian Community Church, yielding to the Holy Spirit, voted to install Elder Jones as the Pastor. Elder Virgil Calvin Jones, Sr. was officially installed as the Pastor of Philippian Community Church on May 27, 2001. Immediately following his installation, the Holy Spirit began to establish Pastor Jones’ ministry. He was given the vision for the ministry: “Getting a people ready to meet Jesus.” Many doors opened for the furtherance of the gospel, not just to the body of believers in Jacksonville, but throughout the Southeastern United States including Ft. Myers, Tallahassee, St. Augustine and Orlando, Florida and Raleigh, North Carolina. Pastor Jones was the featured speaker for the 2001 State Convocation for the Church of God in Christ. He was the baccalaureate speaker for the Jean Ribault Senior High School class of 2002 and 2004. He was also baccalaureate speaker for the First Coast Senior High Class of 2002. The Lord continued to guide Bishop Jones’ life to establish and confirm his work and calling. Several pastors, who had established their ministry under the leadership of Bishop Lawrence Callahan, Sr., felt led of the Holy Spirit to acknowledge Pastor Jones as their Bishop. After praying and fasting for the will of God, Pastor Jones accepted the task of overseeing the ministries. Philippi Koinonia was established to organize and support the various ministries. Pastor Jones found himself responsible for pastors and assemblies across the United States. Seeing what the Lord did in just a few years, he could only reflect back to the verse the Holy Spirit had placed in his spirit: “God will work a work in your days, which ye will not believe, though it be told you” (Habakkuk 1:5). In 2003, Pastor Jones received an Honorary Doctorate Degree from St. Thomas Christian College in Jacksonville, Florida. Later that year, he received another Honorary Doctorate from Z. E. Brown Bible College inTallahassee, Florida. In April 2004, Pastor Jones, First Lady Mary Jones, and twenty-four members from the congregation traveled to Taegu, South Korea. He was the featured guest speaker for the Multicultural Gospel Service Faith Conference. Souls were saved and the saints were strengthened to continue in the faith. The people of South Korea and their hunger for the word of God had a great impact on Pastor Jones. An urgency and desire to share the Gospel of Jesus Christ was impressed upon his heart. Annually, Pastor Jones is the guest evangelist for revivals held in Raleigh, North Carolina and Tallahassee, Florida. The Pastor’s love and concern for the children in the congregation, as well as the Jacksonville community, is displayed in his efforts to provide facilities and programs for the youth. Power for Developing Successful Youth (PFDSY) is a nonprofit corporation developed under the leadership of Pastor Jones to address the needs of children of all ages. On August 25, 2007, Pastor Jones was consecrated to the office of Bishop. The services were officiated and coordinated by the Joint College of Bishops under the direction of the Metropolitan-Archbishop J. Delano Ellis. Bishop Jones has been the guest on several TBN broadcasts (local and international). On two different occasions, May 20, 2007 and September 9, 2007, the Sunday Morning Worship service of Philippian Community Church was taped by the TBN Network. God is continuously working a work for the kingdom of Jesus Christ. Bishop Jones conducts a weekly radio broadcast that airs on WCGL 1360 AM radio network every Thursday at 1:00 pm. He is also the facilitator for the Ministry Training classes at Philippian Community Church. 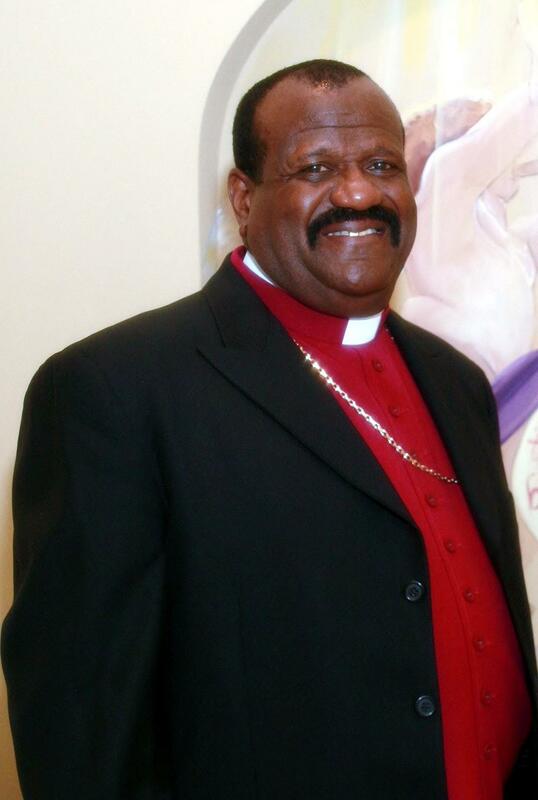 Bishop Virgil Jones, Sr. is married to First Lady Mary Mathis Jones. They are the parents of Latisa (Kevin) McKenzie; Aaron (Stephanie); Virgil, Jr. (LaStocia) and Jermel (Courtney) Jones along with 8 grandchildren.